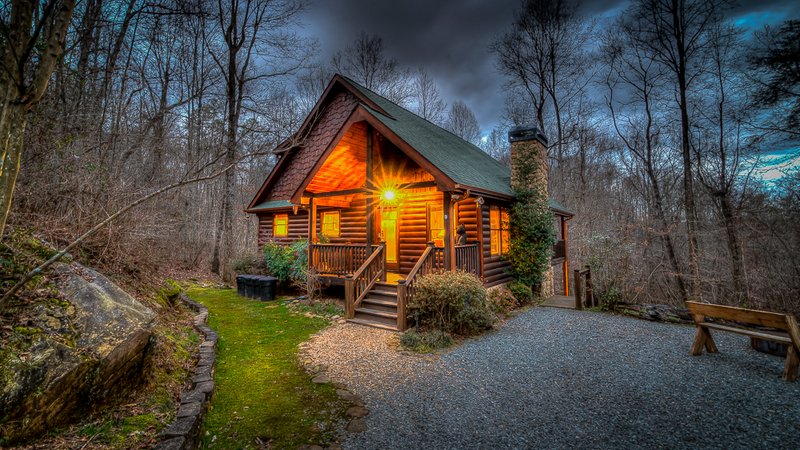 If you’re looking for the perfect place to bring your whole family on your next vacation, look no further than Toccoa Playground, a Blue Ridge, GA cabin rental that promises you and your children a fun-filled getaway. 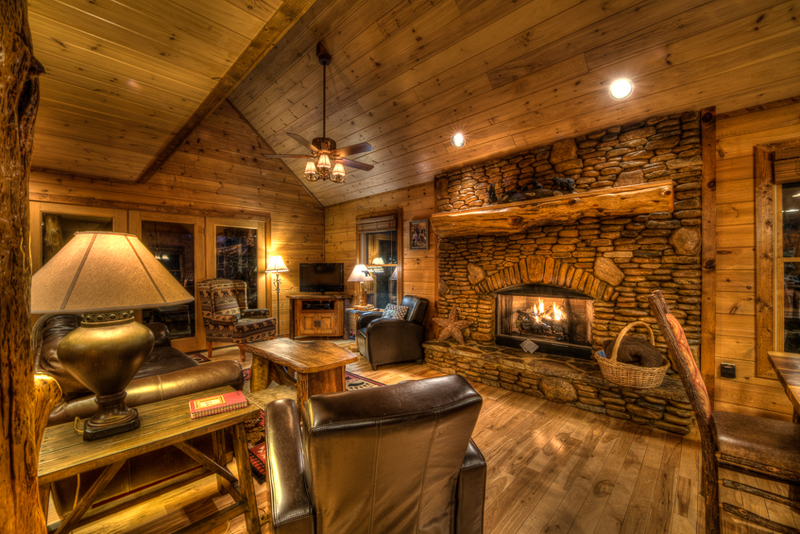 True to its name, this spacious cabin in the woods near the Toccoa River, considered to be some of the best fly fishing in the Southeast, is a playground for both adults and kids, with plenty of child-friendly features and amenities. Large family? 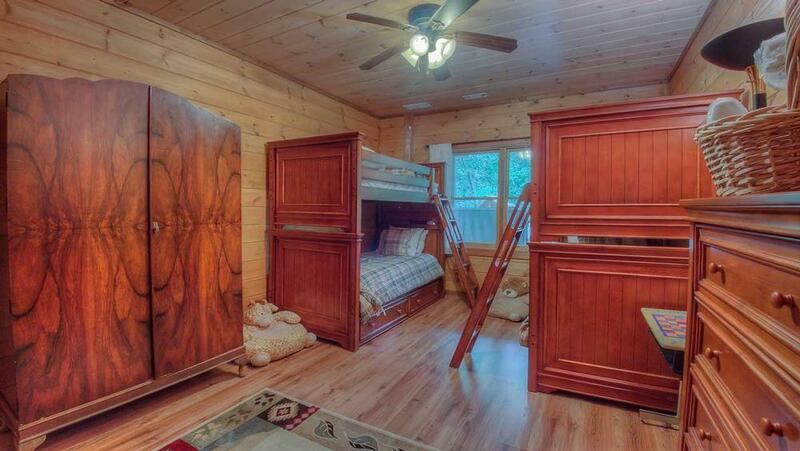 No problem: the cabin sleeps ten, and has two sets of twin bunk beds in the downstairs bedroom and twin beds and a toddler bed in the upstairs loft, perfect for your young ones. The loft’s play area includes a puppet theater, play kitchen, a 32” flat screen with Blu-ray, and toys to delight kids of all ages, and the swings, slide, playhouse, and trampoline on the railing-protected deck will provide hours of fun. Older kids (and parents) will love the basketball shooter game outside. A crib, bassinet, baby swing, carrier, portable child seat and high chair are available, and there are safety gates on the stairs. 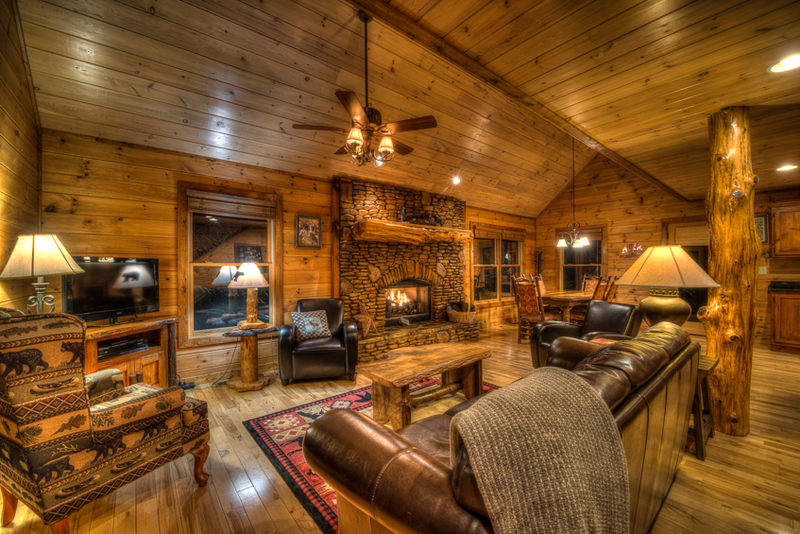 Constricted of solid wood with stone gas log fireplaces, comfortable leather furniture and ceiling fans throughout, the cabin features a wildlife theme that includes two black bears, one greeting you on the front porch, and you’ll find the other on the covered deck, a fish in its mouth. 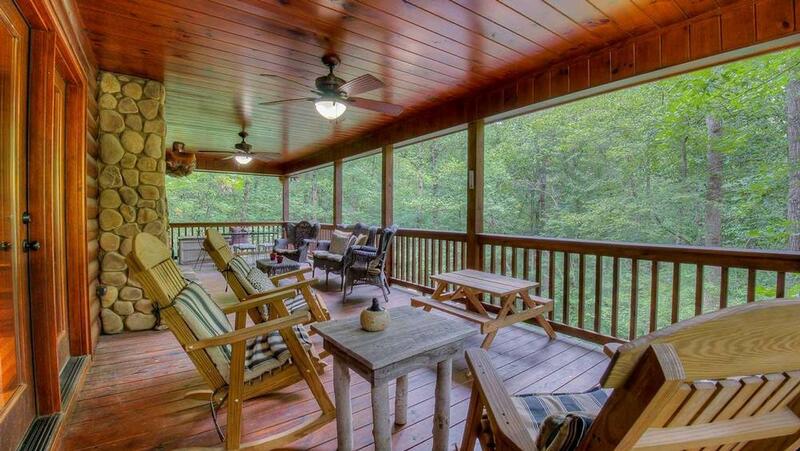 You’ll want to spend time out there, too, relaxing in a rocking chair, kicking back in the brand new hot tub, roasting marshmallows in the fire pit or grilling your dinner. Also, you’re close to some great fishing on the private side of the Toccoa River with few public entry points and a community pavilion to enjoy. 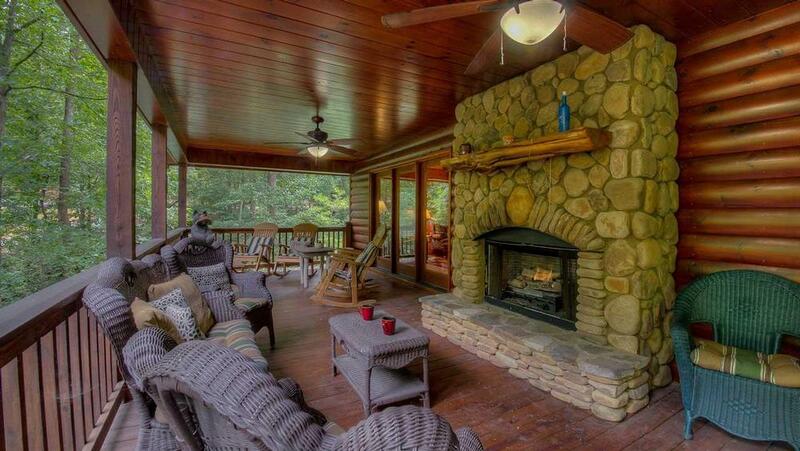 Then sit on the covered porch next to the fireplace and listen to the wind blowing through the trees and the sound of the Blue Ridge Scenic Railways passing by for a great way to end your day. There are entertainment options inside, too, with flat screen TVs equipped with DVR, Blu-ray, and movies on the man and lower levels, board games and puzzles in the den, and wireless Internet throughout. The kitchen features granite countertops, wooden cabinets with log knobs, stainless steel appliances, and two coffee makers, and the hand-carved log dining table seats six. 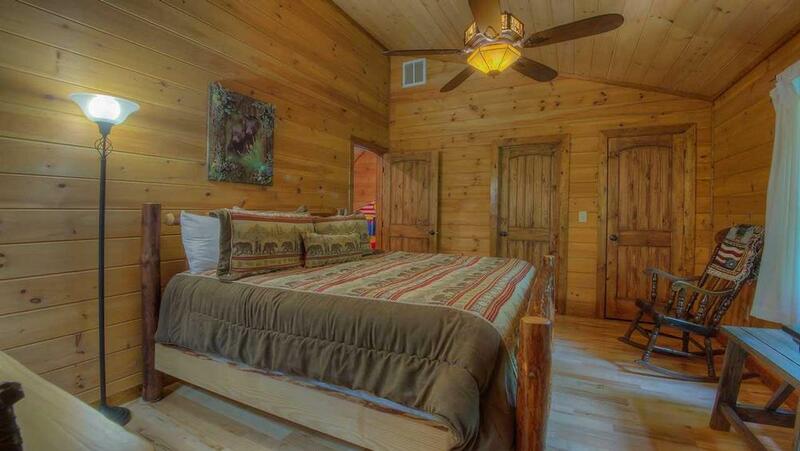 The cozy bedrooms are comfortably appointed, with hand-carved log king bed and dresser, walk-in closet and bath with walk-in slate shower and double vanity in the upstairs master and antique queen bed and dresser in the main floor bedroom. 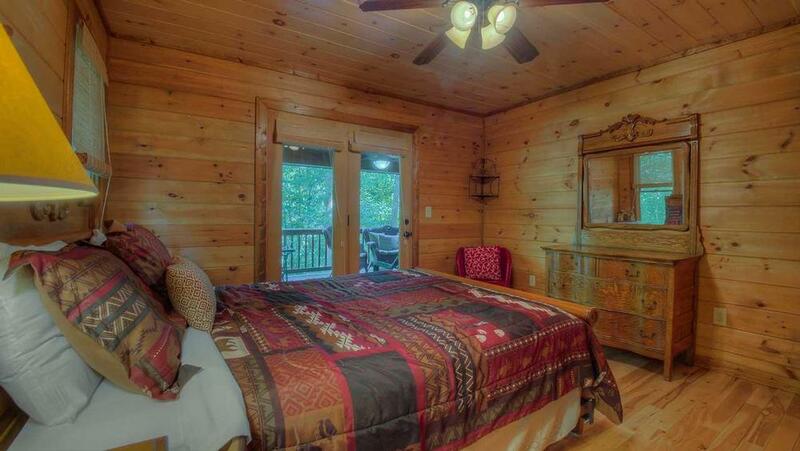 Its adjacent full size bath has a tub/shower, double vanity and washer/dryer in the closet. There’s a third full bath on the lower level. A kid-friendly wonderland and an adult retreat wrapped up into one, Toccoa Playground is truly the best of both worlds and the perfect spot for your next family vacation. 09/18 - Excellent choice of home if you have small children. Excellent customer service! Have used multiple times and will continue to do so. 08/18 - The space, the property, everything was beautiful. Great company! Staff was great! 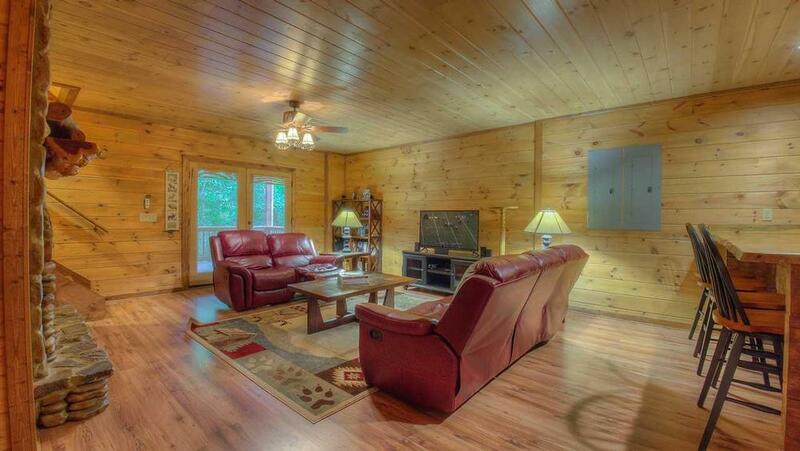 07/18 - Clean cabin with modern upgrades, beautiful location and accommodated our needs. Overall very pleased and happy with our stay. 4/18 - It is a wonderful house for young children with plenty of toys, games, playground, and fun things to do. 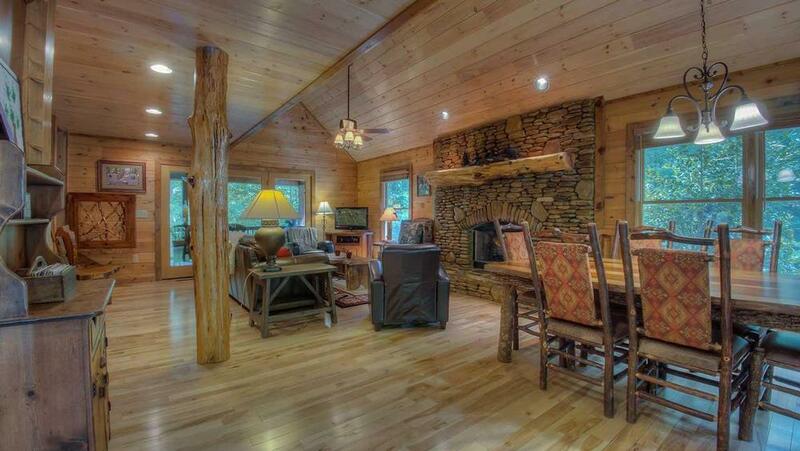 We come to Blue Ridge 3- 4 times a year and almost always use your company. 3/18 - This home was Spectacular with all of the special items for a family. The playground on the deck, the board games, the bar-b-que grill, and the upstairs play area for kids Also the kitchen was stocked with all the kitchen utensils, coffee makers, and pots, pans, bowls, silverware, glasses, cups, and coffee cups that you need珞Everything was wonderful, there just wasn't a T.V. in the master bedroom or the bedroom with the queen size bed and that was surprising, but that's the only surprise we had. 2/18 - Excellent amenities for children. Booking process was smooth & staff were polite & very helpful when correcting an error made by myself. 07/17- The cabin was more than we expected. Big, comfortable and fun! The Nature around it was beautiful with the river less than 2 minutes away. It is great for kids of all ages with fun games and toys. Excellent! 07/17- The play area was amazing for my little ones. I truly enjoyed it. The home was fully equipped with essentials for a family with a baby, which helped a lot. Everything is very well organized and detailed. 07/17- Everything was really nice. Great for a family with small children. Only drawback was no tvs in the bedrooms. The company was great. The first cabin we wanted was having water problems and we were notified immediately and were able to change cabins. 07/17- Great space for our son to play. Wonderful company, great service. 05/17- I loved the wood details throughout the home. 01/17- I enjoyed the space! We weren\'t crowded and could do our own thing. 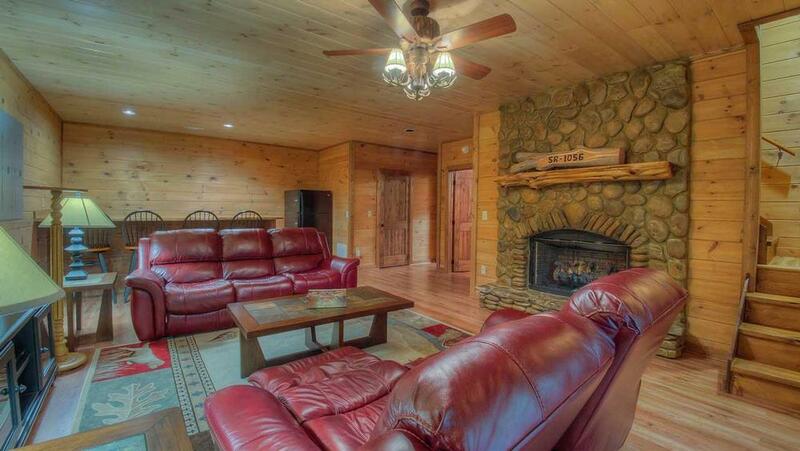 The multiple fireplaces are a plus! And the toys/activities for the kids was amazing. The hot tub outside was so relaxing and romantic! 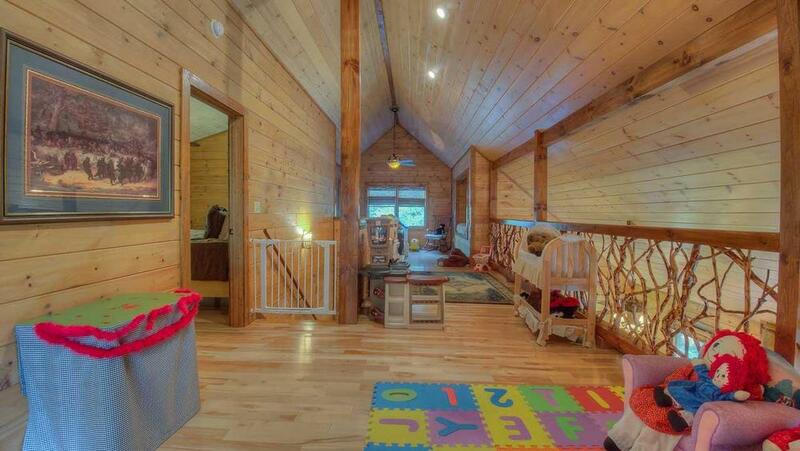 Highly recommend this cabin for a family or group with multiple ages! 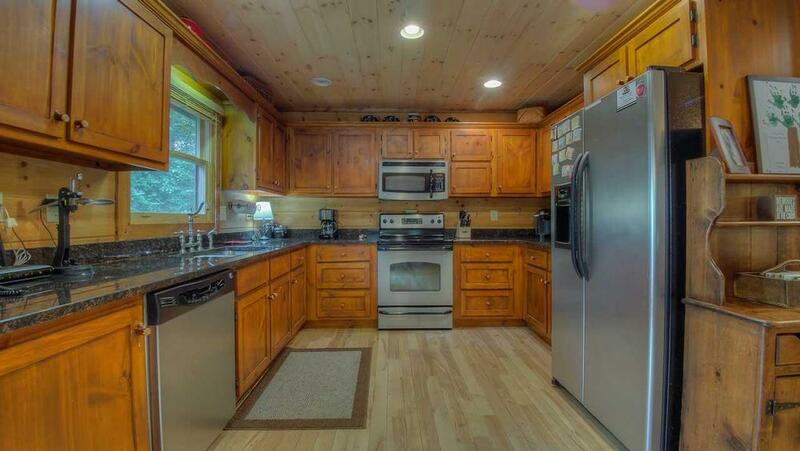 12/16- Very kid-friendly, kitchen fully stocked, gas fireplaces were great, hot tub also was great. Wonderful location! 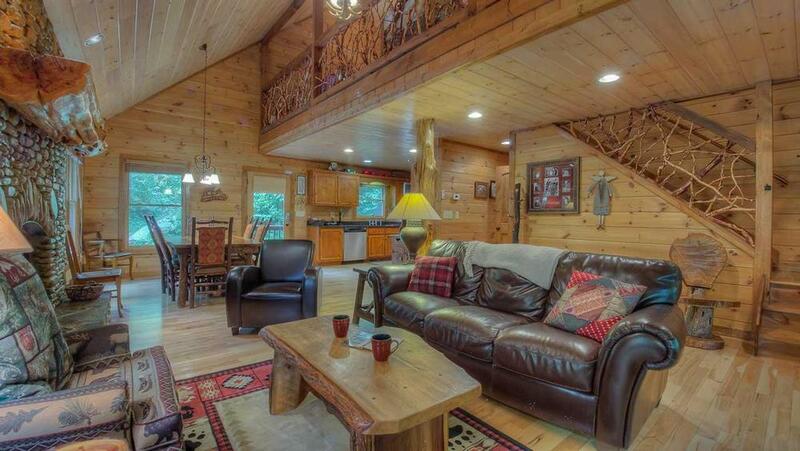 Close to town, but still in the woods. 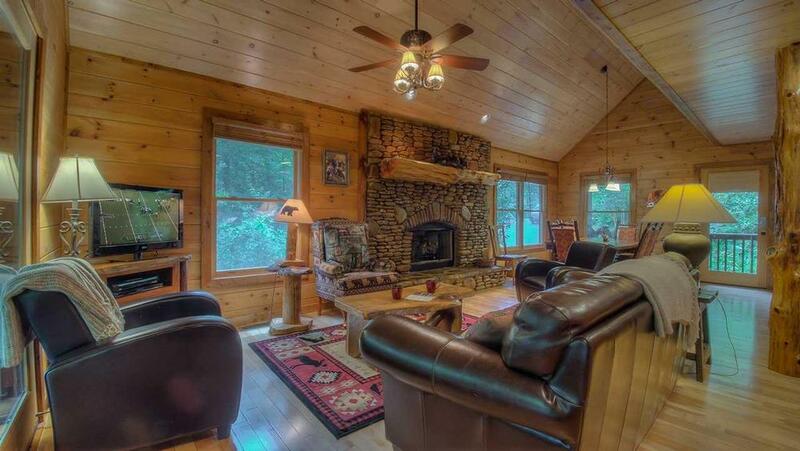 This is our second time renting through Escape to Blue Ridge and we have been very happy with our experiences. 11/16- This home was perfect for a family with small children. The playground and playroom were perfect for entertaining them. The convenience of having a crib, high chair, baby swing, etc. was invaluable. I love Escape to Blue Ridge. 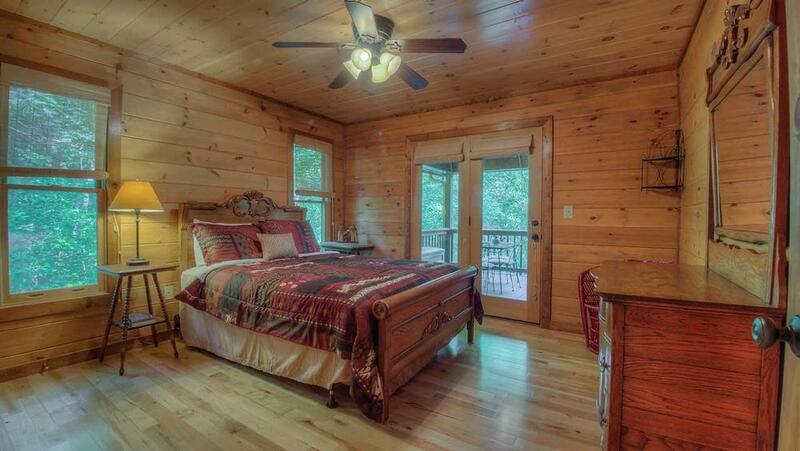 I feel like your cabins are super clean. They customer service is great. I've rented from you guys almost every year in the past 8 years. I have to admit I have tried another company, and they were ok, but I am sticking with you all because I never have to worry about the quality of cabin I will be getting. 10/16- It was a beautiful cabin, clean, and very warm and welcoming. We loved our whole experience. Thank you! We are so impressed that we booked four days in December. We plan on using Escape to Blue Ridge again in the summer. 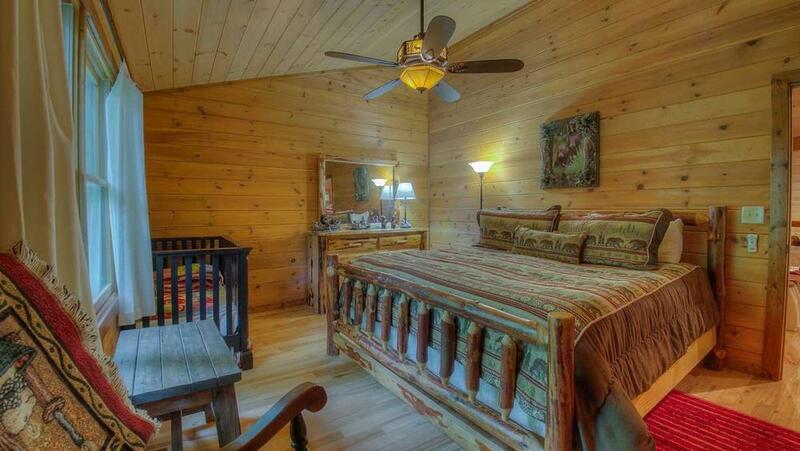 09/16- This home has the privacy and all the essentials that you need, with plenty of room. The staff was very helpful and courteous. 06/16- Everything was clean inside home. 05/16- This home and our experience is exactly what we needed to break up our trip from Siesta Keys, FL to Indianapolis, IN. The home was welcoming and prepared for any size family to enjoy its placement, comforts and attributes. Once we arrived, it was stated many times that we wished our stay would be longer. 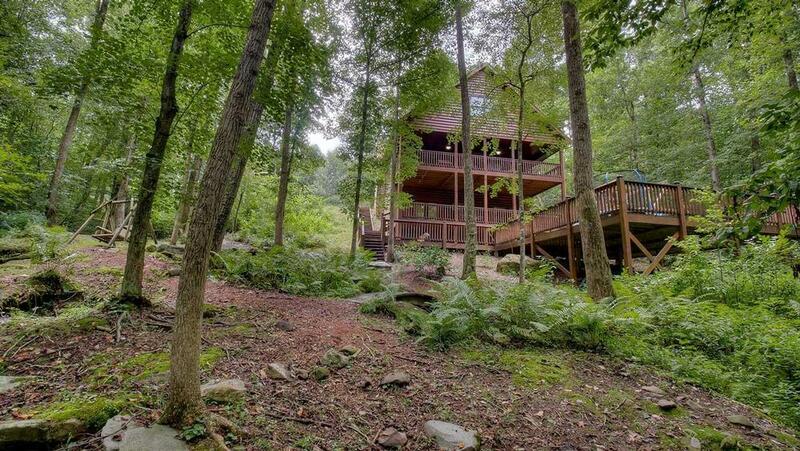 We will definitely look at staying in the Blue Ridge homes again. Very professional. Very accommodating for even the shortest of reservations and lack of technology during setup and initial interest. The communication on every level from confirmation of reservation to security assurance on entry and exit of the property was of the highest level. We couldn't of had a better experience. 04/16- The Taccoa Playground was fantastic for my 5 year old daughter. She loved the playground and all the toys at the cabin. The Taccoa River is right down the driveway and is absolutely beautiful. 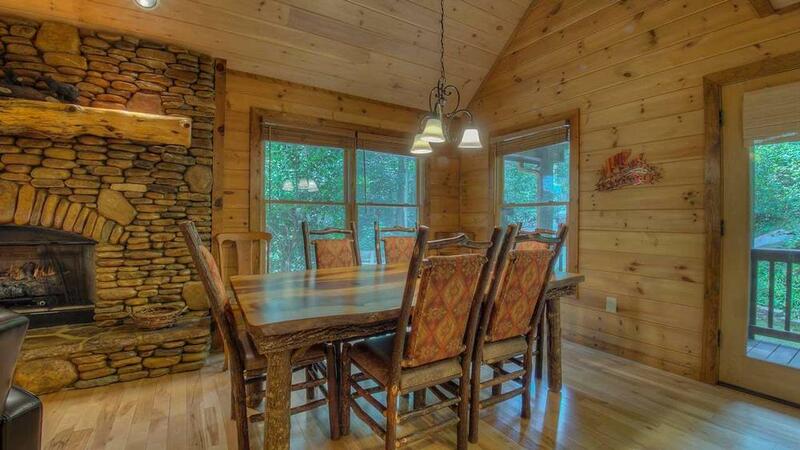 The location is great only a couple of minutes to downtown Blue Ridge. 01/16- We loved the fact that the home was kid friendly. We traveled with a couple who have a 3 yr old and she was so happy the entire time! 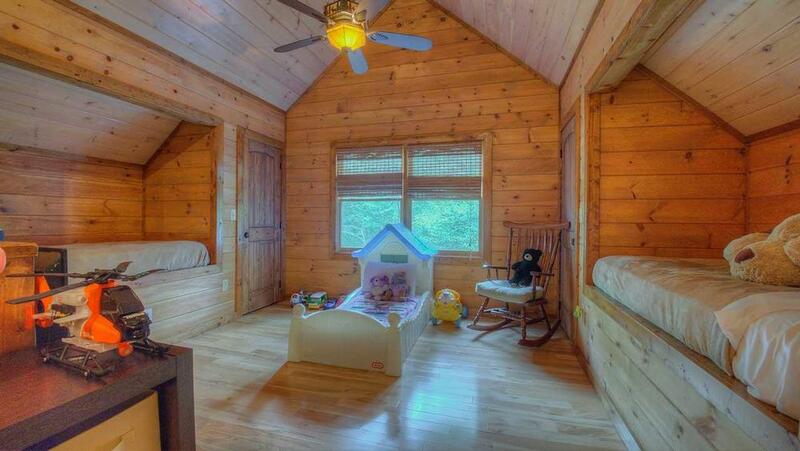 We look forward to having munchkins of our own one day and this cabin will be one we return to in the future!! We can't wait to stay with you again next year!!! Thank you for such an up beat and friendly staff!! !